The cover image of Época magazine was published on the Facebook page of the media network Ninja Media, on Wednesday (30) and shared by thousands of people. Outraged by the publication, the indigenous girl Ysani Kalapalo (27) published a video on her You Tube channel denouncing the magazine’s report. 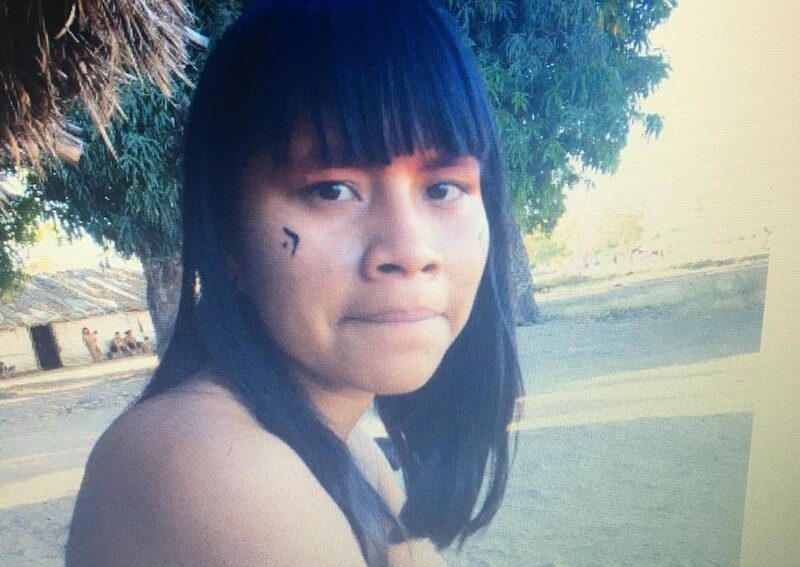 The young woman accuses Época of entering the Kamayurá village without proper authorization to search for information about the daughter of Damares, in addition to causing conflicts between another Indian assisted by the Minister and some of her relatives who stayed in the village. Ysani contacted Kumaré Txicão, coordinator of the FUNAI of Xingu, and he reported that “authorization from here in Canarana was not given. I am not aware of this, because the person who authorizes entry into indigenous land is the FUNAI president, that’s all I have to inform you.” Another Ysani contact also confirmed that the FUNAI president, Franklimberg, did not give the authorization “because they (from Época) did not explain the reason for entry. Usually the one who gives authorization is the president of FUNAI. Since they know that the president of FUNAI is Franklimberg, the general, they knew he would not give them permission, but they entered anyway. They must have talked to some Indians, I don’t know, and they went in anyway,” he said. To clarify the facts and find out the true story of Lulu Kamayurah, GNI sought out some of the people involved in their removal from the tribe and asked them what had actually happened. One of these people was the young woman’s uncle, who chose not to identify himself so that his work to rescue and shelter indigenous people at risk would not be jeopardized. Another was Márcia Suzuki, who was part of the foundation of the NGO ATINI – A Voice for Life, as well as Damares Alves. Márcia said that she and a team that included Lulu’s uncle had gone to visit the Kamayura Village where they met the girl. “We were there, all together, and then we saw Lulu all dirty, mistreated, working like a slave, scared. It was four o’clock in the morning and we would wake up to the sound of her it grating cassava, carrying water. The other girls were all pretty, with long hair, all dressed up. And she wore filthy, filthy rags.” Bothered by this situation, Márcia and her team began to ask questions about the girl. “Then her uncle told us the story, that she had been the daughter of a single mother, who tried to bury her, had dug the hole,” she said. 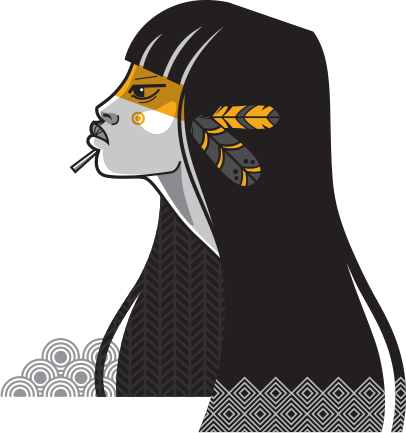 Lulu’s uncle believes she was taken to her tribe, the Kamayurá, when she was only one or two days old. She was taken there by a nurse working in the area, after being saved from infanticide. “One part of the family accepted her, another part did not, but even so a nurse took this girl, Lulu, and took her to our village. It’s about 30 km from their village. Then my aunt adopted this girl to work, to help at her home, because my aunt only had one daughter, who was the firstborn, and the rest were all boys. There were five boys. So she took Lulu in because she was the daughter of a single mother, and because she had been rejected. She brought her up, then she grew up and everything. In the village things are different… Single mother’s daughters are rejected, so it was very difficult. So she was rejected even though she lived there with my aunt, in our house,” he said. “When the people went there, I went there too, they asked for help because Lulu was being mistreated. Her teeth were all rotten, so she needed dental and medical treatment as well. So I went there with the staff and they asked me to help, along with my mother. My mother already lived in the city because of my brother’s health problems, he is still being treated at the children’s hospital here in Brasília, so we knew the NGO (ATINI) at that time. The family trusted us, me, and my mother as well. So we brought Lulu here. The family asked us to. It was my aunt, along with my uncle here, her husband. I even have the videos here! Last time I went, in 2015, they advised Lulu to study more, to stay longer in the city. So we brought her to the city. After the leak of the cover of Época magazine with the photo of the young woman’s adoptive grandmother and the phrase “The white woman took Lulu”, the indigenous Maybí Maxakali shared the publication, indignant with the magazine. “Just to make it clear, I’m leftist. I’m fair, and I totally disagree with this interview and what it says in this report. Someone who enters a village and interviews a blind old woman, already sick, and exposes her photo in this way has no respect for us, the indigenous people. Damares brought Lulu up with her parents’ authorization and she currently wishes to do a doctorate. Lulu has not lost her culture, she frequently visits the village, participates in the rituals and has never been taken by force to Damares’ house,” the young man says. On the charge that Damares Alves illegally adopted Lulu or kidnapped her, Maybí remarked that “Damares did not adopt Lulu, there is nothing of the sort that she has adopted on paper or even adopted irregularly. She raised Lulu! Lulu went to live with her with the consent of her parents, and her older brothers also went. The uncle did a doctorate with the help of Damares. So, today Lulu is 21 years old, she has not lost touch with her culture, she has not lost her roots, she has not converted to Christianity. She was raised, yes, by Damares. She went to live with her, to get treatment and, in that way, they created a bond of affection! Damares sees her as a daughter… I think she calls Damares titi (auntie) or Mama, I don’t know, but this kidnapping business, irregular adoption, it’s all a lie,” she concludes. The young indigenous explained that she knows Lulu through contact and stories. “When I heard the story, I went to her and even to Damares to find out. And they both confirmed this to me, including Lulu’s mother Kamayura,” she said.